You are here: Home / Uncategorized / Michelle Kocak Jones recognized with Outstanding Honor! 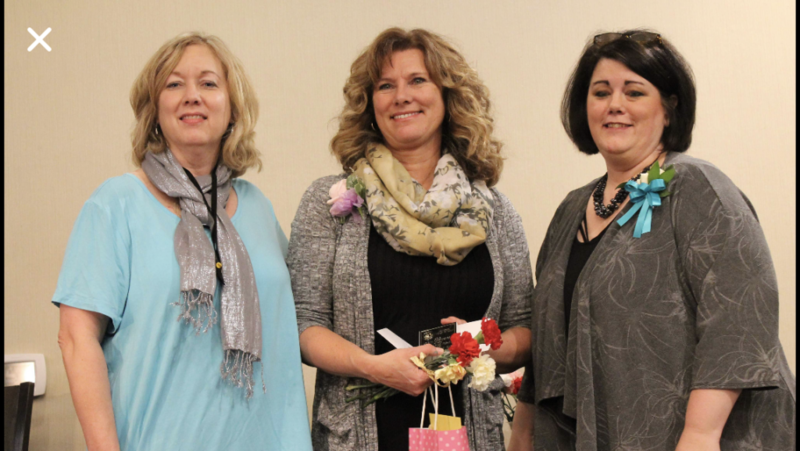 We are proud to announce that Michelle Kocak Jones, a member of the Monticello Women of Today, was honored at the Minnesota Women of Today Winter State Awards Banquet with the Lois M. Christensen Outstanding Women Who Impact Award. Michelle was nominated for this award based on her contributions as a member of our chapter, a teacher in the Monticello School District, and within the area community around Monticello. She has been a member of our chapter for about 20 years and has taught in the Monticello school system for over 30 years, with an emphasis in youth programs for students with disabilities. Congratulations, Michelle! !